The key is not needing them. As of August 10, 2015, Google will be pulling the plug on the autocomplete API. Depending on your perspective, yet another useful tool to generate information on search engine queries is being taken back by Google as of August 10. Those who still want to use the autocomplete service for their site may use an alternative, the Google custom search engine (GSE). The move may well compliment their “keywords not provided” strategy of yore. So what does this mean for the future of key words and their respective tools? Personally, I prefer writing in a natural and flowing manner without worrying how many key words are on the page. I stick by the strategy that if you are truly an expert at what you are writing about and provide information that is useful to your target audience, then “key words/phrases” will naturally spring up into your content and these will probably be what your audience is searching for. Besides, in theory all the words on your page are prospective key words/phrases. Just because you want or think a specific set of words and/or phrases is key and you will rank for it, does not necessarily mean you will. In fact, you may end up ranking for an entirely different word/phrase. Who needs key words/phrases anyhow? If you are writing for an expert audience, and you too are an expert then you will use certain industry buzz words, slang or colloquialisms more common to your target audience. If your audience is made up of beginners then the language will change and so on. There are many different audiences to write for and with each the language and word usage may alter to appease those readers. Know your audience and write for them in the language they best understand. Deliver your message and your useful content in the natural language your target audience will appreciate and find most comprehensible and beneficial. Still, it is good to put a key word into the title or two or three into the body text as perhaps synonyms to give the search engines a “hint” as to what term it is you wish to rank for in the SERPS. The theory states that if you want to rank for certain key words/phrases then you should at least mention it without going overboard and over optimizing your content. The future is semantic…where Google and other search engines will understand the actual meaning behind words. This will probably mean that key word strategies will be laid to rest. Writing in natural language will prevail. Search engines need humans. They need us to give them data, patterns, details etc…It may seem a momentous task but in time Google may well be able to “digitize” everything it can in the world. People are teaching google and other search engines currently and have been for years. Key words/phrases are part of the learning process among many other things. They served their purpose, they were “teaching tools” from humans to search engines. It was ok to over optimize with key words for a while in what seems eons ago, because it was human data being taught to the search engines. Over optimizing was considered an SEO no no years ago because Google got what it needed and the learning stage progressed. Now, it needs to learn what words really mean, like a real person. The same pattern existed with authorship etc… Once enough data was collected, the next stage becomes a deeper form of learning. The stages of web 3.0, 4.0 or whatever are progressions of artificial learning and a wider scope of digitized mapping of human existence. Removing key words/phrases from SEO strategy is the setting for the future of technology and human beings existing in unison. 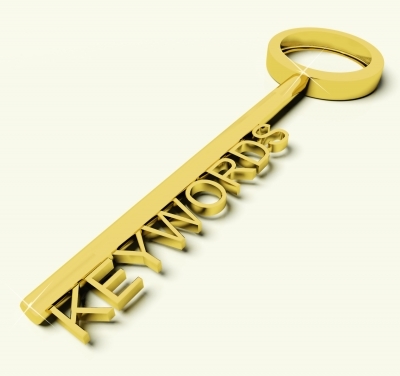 So, key words/phrases are dead and so is SEO What does the future look like? Whenever I hear SEO is dead or SEO is not dead, it makes me think of Nietzsche. He is famous for saying God is dead and with that, man must find a new mode of existence. SEO being dead or key words dying is similar, it is the human factor and involvement of Google and other search engines achieving a new mode of existence. I think key word strategies will be truly dead when Google no longer requires data from humans but has enough to understand what it needs to know without having to ask for any assistance or at least as much as it requires currently.